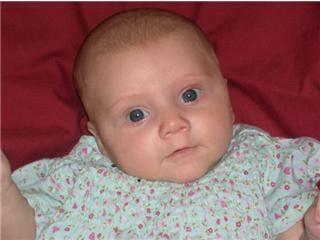 I dropped by Mrs. C.’s house to drop off the latest pictures of Baby Emma and her brother and sister. Being three hours away from her great grandchildren makes it difficult for her to see them as often as she’d like, so pictures are the next best thing. Studying the baby’s features intently, she commented on her huge eyes and then told me that her mother, Baby Emma’s great-great grandmother, had big eyes too. Interested in this lady whom I had never met and yet whose DNA influenced my children, I asked Mrs. C. about her mother and her early demise. One story led to another, and before I knew it, I was listening to the details of the budding romance between Mr. and Mrs. Crolley. She had been his nurse, a very proper one who believed in following the rules. He didn’t want her to bend the rules, yet having noticed her before, he seized upon the opportunity to get to know her a little better. Would she be willing to give him a back rub after her shift ended? She was…and did, and the spell was cast. Even though the hospital where they first became acquainted has long been demolished to make room for houses, I can still picture the two-story brick edifice and visualize a young couple becoming better acquainted there. His “Crolley charm,” as my son refers to it, melted her resolve, and before long the neat professional nurse in the starched white uniform became his wife. Today as I look at the photographs of the most recent family member, Emma Elizabeth, I can’t help but think about this precious child and her heritage. Baby Emma’s mother Carrie has a sign above an entry into her family room that says, “All because two people fell in love,” and although she thinks of Rich and her, this afternoon I’m thinking of another couple who met six decades ago. As long as Emma lives, so will they.